Ford's compact sedan competitor is just around the corner. 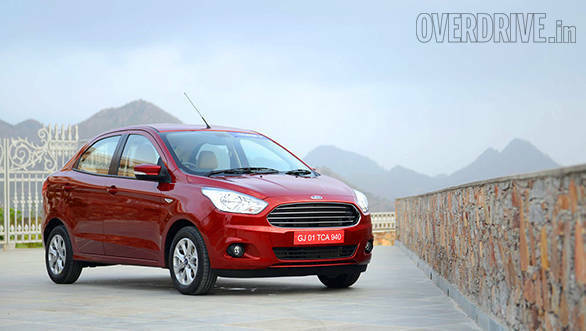 The new Ford will take on established competition like the Maruti Suzuki Swift Dzire, Hyundai Xcent, Honda Amaze and the Tata Zest (click here to see our detailed first drive review for the Figo Aspire). While the Maruti Dzire sells close to 15,000 units in a month, the others still try to play catch up. It is this hotly contested segment that the Ford will be venturing into. The Figo Aspire is the booted version of the hatch Figo. It gets a dual clutch automatic transmission with the most powerful engine in this segment as well. The diesel engine while being powerful is also one of the most efficient ones around. At least on paper. The Tata Zest is the only car here to have a turbopetrol engine. It also gets an AMT mated to its diesel engine, another first in class. But the Ford gets variable valve timing on both the intake and exhaust sides. While the Honda Amaze diesel was the most powerful in the segment for a long time, the Figo Aspire now catches up and infact has more torque than the Honda at 215Nm. 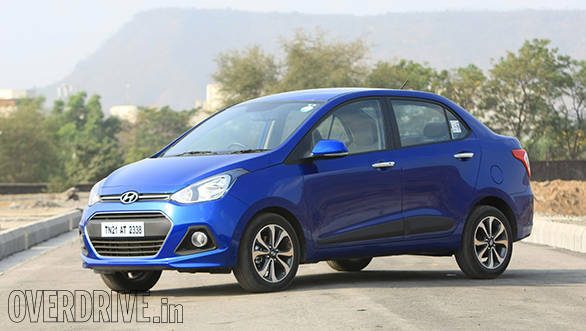 The Amaze, however, is the only one in this comparison to come with a factory-fitted CNG option. The Figo Aspire claims to be as roomy as the others here. The Dzire, though, has always been criticised for the comparatively less space it offers and for its hatch-like boot capacity. However the sales figures continue to soar. It is also the most frugal as per ARAI fuel efficiency numbers for its diesel engine. Safety wise, the Ford Figo Aspire wins hands down. There are six airbags on the top trim along with a speed limiter, ABS, EBD and hill hold assist. While the top trims in the other cars offer ABS, the number of airbags they come with is limited to two. In terms of features though, the Hyundai Xcent still trumps the Ford when compared trim by trim. With the Hyundai's SX(O) variant, you get a reverse camera with parking sensors, push button start and electrically foldable mirrors which close when you lock the car. 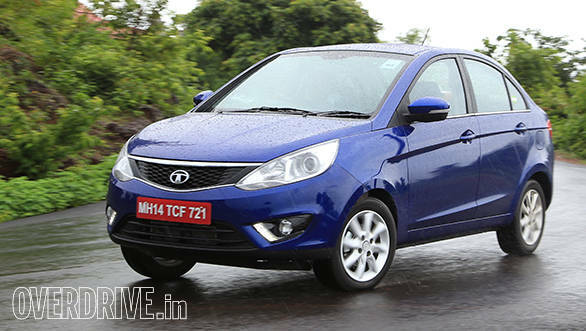 The Tata Zest gets a touchscreen Harman music system along with a cabin that's high quality. The Zest is also the only one to offer DRLs and projectors in the segment. 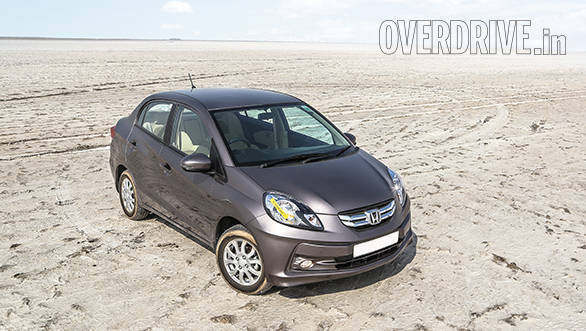 Honda's Amaze has a cheerful cabin, however the overall layout and even the use of colours could have been better. This is one closely contested battle. Look out for a more detailed OVERDRIVE comparison where we're bound to pick a definite winner.